To surprise on any occasion. A fruity flavour with a slight bubbling effect, an exclusive and innovative snack. 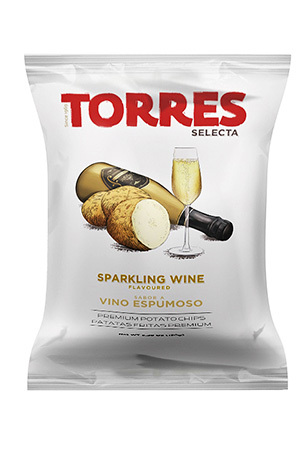 Potatoes, sunflower oil, sparkling wine flavouring (6%), popping candy (1%) (sucrose, lactose, glucose and carbon dioxide) and flavour enhancer (monosodium glutamate). Does not contain gluten, traces of peanuts, or any other nuts. Contains lactose. Does not contain egg products.